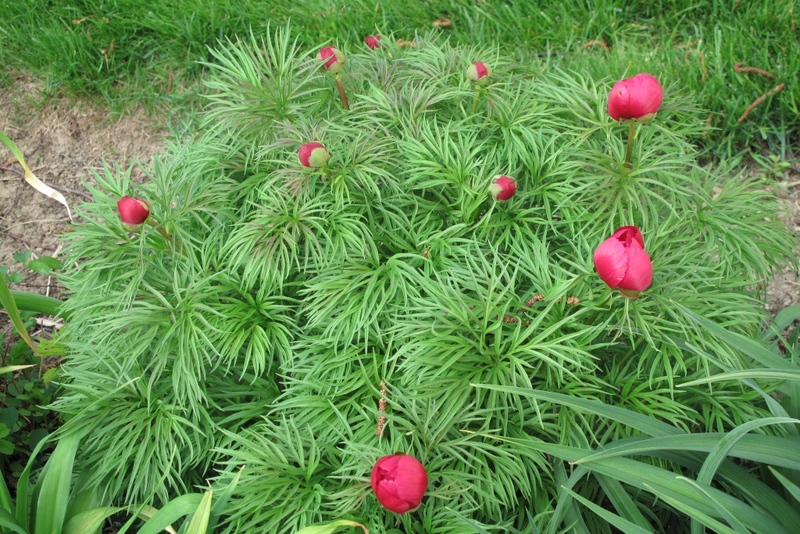 Peony tenuifolia is a species peony native to the Caucasus Mountains of Russia. Finely divided, almost threadlike leaves provide summer long beauty and interest long after the brilliant red blooms (single) are finished. We love the way this plant adds texture and interest to our daylily beds - a perfect companion plant. 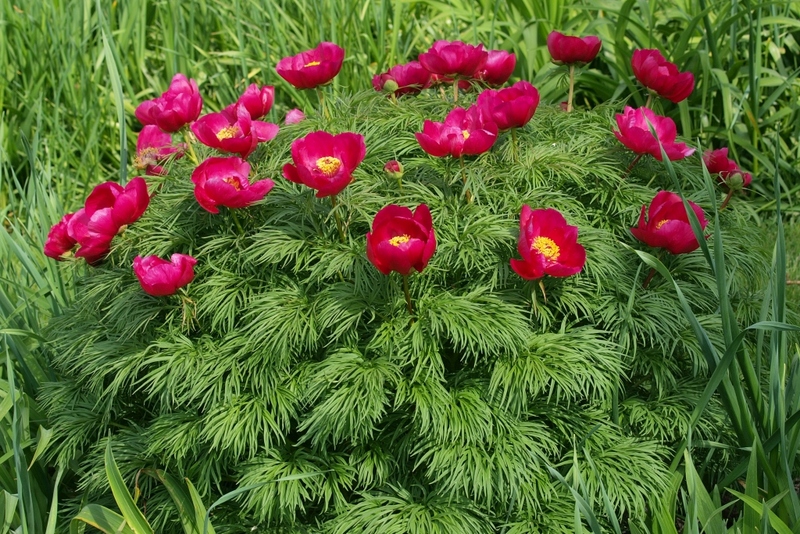 Hardy to zone 3, P. tenuifolia will thrive in full sun or part shade, blooms for us toward the later part of May, has remained pest and disease free for all the years we have grown it. 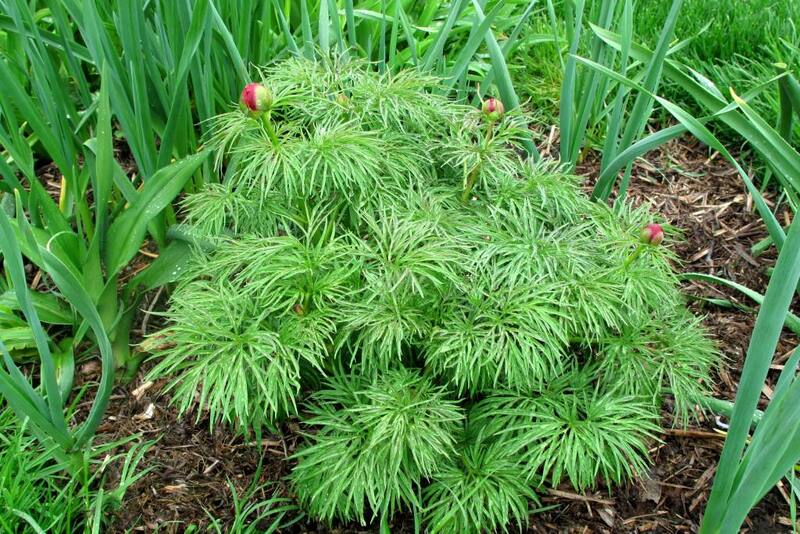 With a low bushy habit (to about 2 feet) this plant never needs staking or the support of a cage. 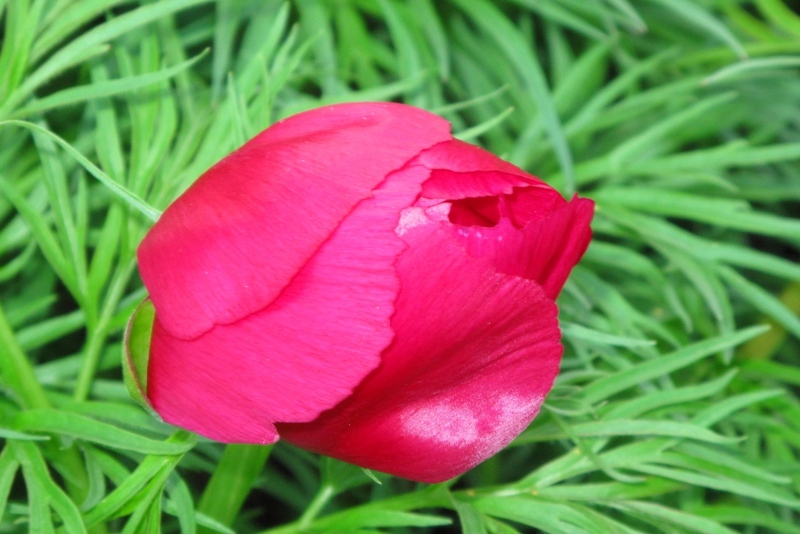 A very long-lived plant, P. tenuifolia can be left undisturbed indefinitely without dividing. Attracts bees and butterflies. Deer resistant. Very easy to grow, we are surprised that tenuifolia is still so rare and difficult to find in garden centers. Absolutely gorgeous as a specimen plant, and even more stunning as a group together. Buds just ready to open 3rd week of May. Somehow we missed getting a photo of the open bloom). Covered in buds. Bloom will last a couple weeks but that fabulous foliage will last until frost in the autumn. May 15, 2018. Just about ready to bloom. Bloom lasts a couple weeks but the beautiful finely divided foliage will last until autumn.